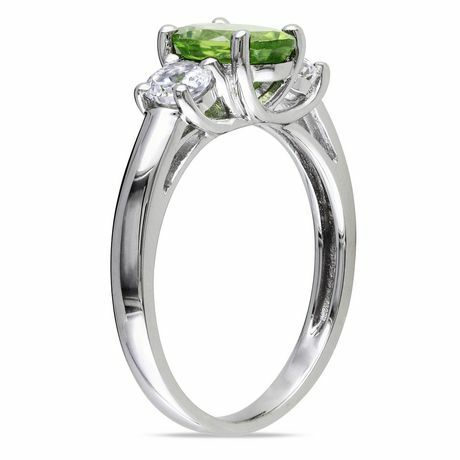 This classic Three-Stone Ring is a stunning choice. 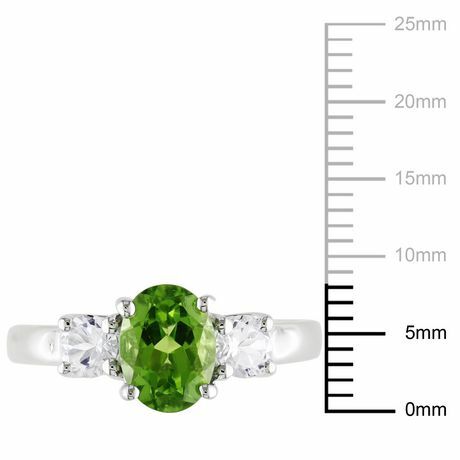 Sparkling in lustrous sterling silver with an oval-cut lush, green peridot (8x6mm) flanked by a round-cut (4mm) created white sapphire on either side. 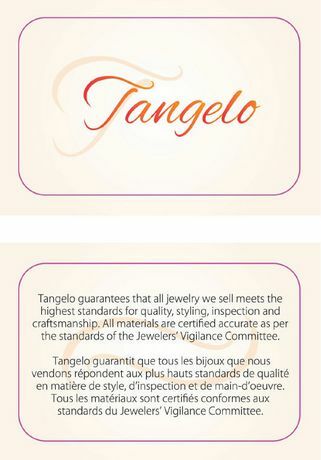 Tangelo Jewellery: A rainbow of gemstones is yours to discover with Tangelo. 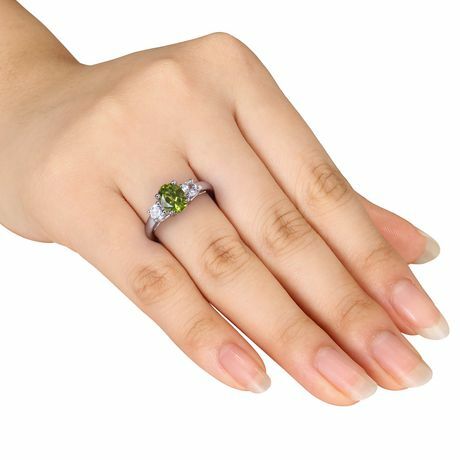 With thousands of styles from classic to trendy, you'll find the hue that's right for you. Adorn yourself with a burst of color from a gemstone. 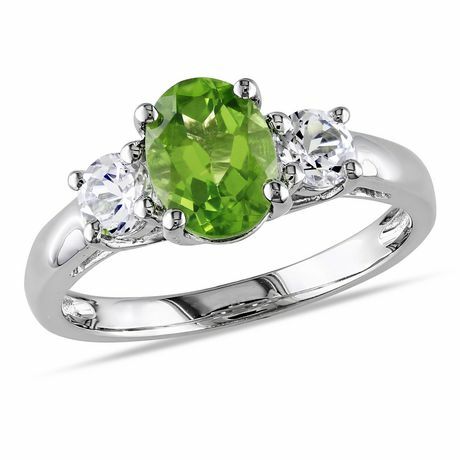 For every occasion in your colorful life.